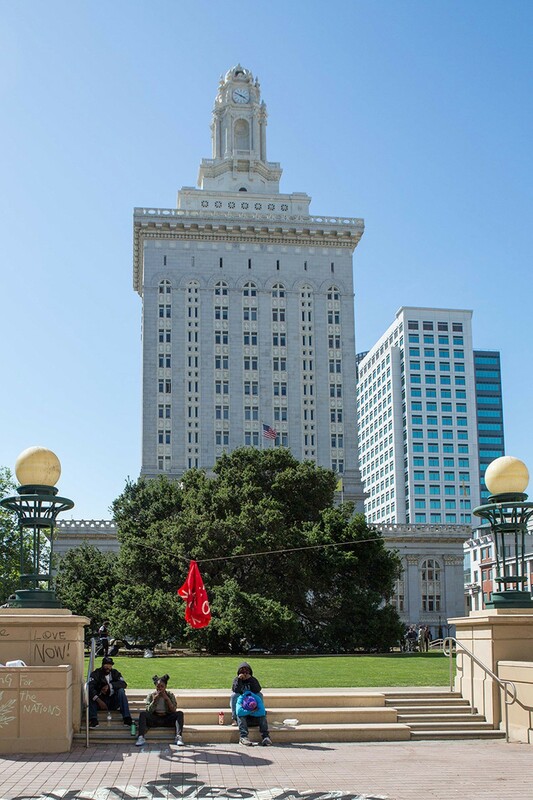 Oakland City Administrator Sabrina Landreth has forced out the city’s head of revenue, David McPherson, according to multiple city sources who asked not to be identified because personnel matters are considered confidential. The move comes after Oakland was sued for breach of contract by a company that alleges McPherson stole their software. City spokesperson Karen Boyd would neither confirm nor deny that McPherson has been put on leave by Landreth. Boyd did write in an email, however, that Margaret O’Brien, a revenue analyst, is “filling in as Revenue Administrator” in place of McPherson. Several city staff members said McPherson has been placed on indefinite leave while the city tries to resolve questions about his handling of contracts. Staffers said senior city officials have made it clear to them in meetings that McPherson is being replaced. McPherson arrived in Oakland in 2010. Earlier this year year, it came to light that Oakland's revenue administration, under McPherson's watch, had become entangled in a complex contract dispute with a vendor, causing the vendor to file a lawsuit against Oakland. McPherson also overpaid the vendor, Progressive Solutions, Inc., $1.16 million without the required authorization from the city council. McPherson also handed out lucrative work to several other companies, but paid them without any contracts, in violation of city policy. The payments were flagged by another city employee as an example of contract splitting, a tactic used to pay vendors large amounts of money while hiding these payments from superiors and elected officials. In June, McPherson told the Express he was unaware of the payments and blamed them on a subordinate. "We stopped doing business with them as soon as this issue was brought to my attention," he wrote in an email. "The person I relied on to know the proper procedures was not properly trained to do this before I came to the city." Agenda for the Oakland city council's closed session meeting today. As I reported at the time, two of the companies that McPherson paid tens of thousands of dollars without a contract, were members of the California Municipal Revenue and Tax Association (CMRTA). McPherson was the president of the CMRTA in 2002 and 2003. In 2013, he sat on the CMRTA board of directors and served a third term as the group's president. On the agenda for today’s closed session meeting of the Oakland City Council is a discussion about the contract dispute with PSI. I recently interviewed McPherson about taxing short-term rental landlords who operate through platforms such as Airbnb. McPherson signed a tax agreement with Airbnb earlier this year to allow Oakland to collect hotel taxes from visitors staying in short-term rentals.